Can we all just agree that setting a budget and sticking to that budget are two very different things? 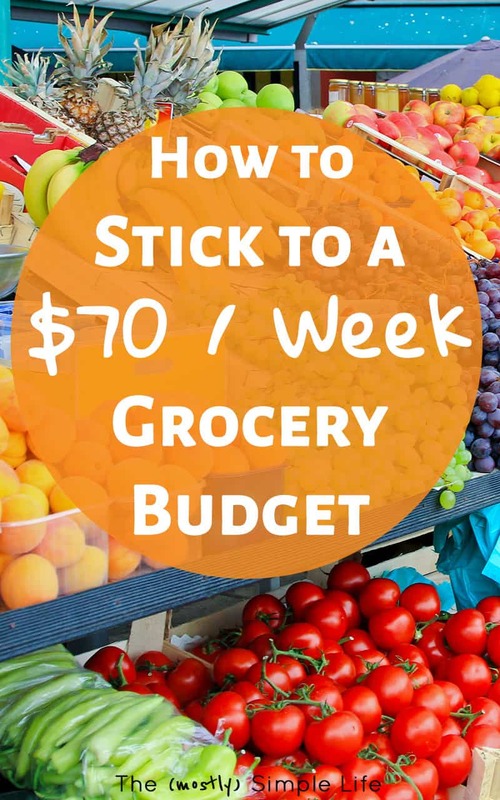 It can be so hard to stick to your grocery budget! Sometimes my budget is a little two idealistic and there’s no possible way to stick to it because things never go the ideal, perfect way I plan. What does help is having a strategy for sticking to the budget. Ideally, Austin and I spend $60 per week on groceries. 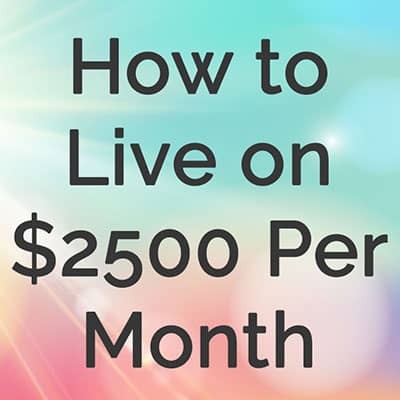 In real life, we spend more life $70 per week (this is just food, no eating out or other household items). I still think that $70 is pretty good though and we most definitely could spend more if we weren’t careful. 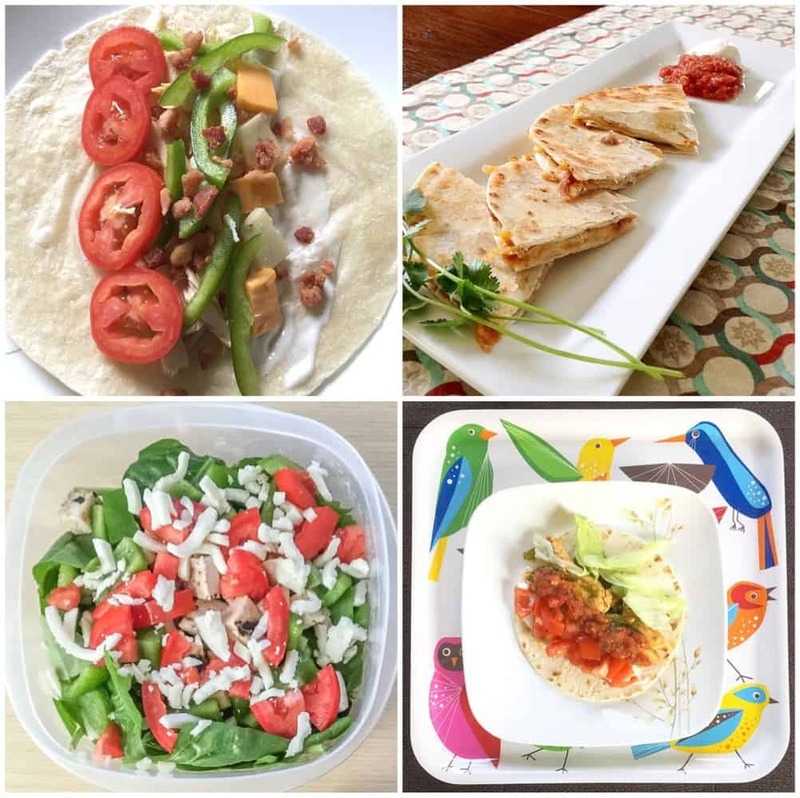 Sidenote: If you want to see exactly what we eat, I wrote a “what we eat in a week” post so that you can see what a typical meal plan looks like. It’s got to be #1 on the list because it makes the biggest difference! If I don’t meal plan, I end up at the store buying everything that looks good and that I think that we need. Then I get home and most of the food doesn’t go together. So even though I just spent a ton of money on food, I don’t have the ingredients I need to actually make much. In fact, last week I decided that I’m such a meal planning pro that I could just wing it. Ha! So I ended up at the store and hadn’t done my meal plan for the week or made a shopping list. I was just going to get the things we usually get and figured it would all work out. I ended up spending $80 instead of my normal $60-70. Plus, I got home and realized that I bought a bunch of food that we didn’t even need because we already had plenty. I can assure you that the danish, the cheesecake, and the three boxes of frozen egg rolls would not have been on my grocery list. Apparently I needed the reminder of how important meal planning is! You can get the meal planning printable I use each week by entering your info below! Most of our meals are very simple and contain a lot of similar ingredients. I’ve found that when I cook more complicated meals, I end up having to buy unique ingredients that I wouldn’t normally use. Those ingredients are often expensive and then sit in the cupboard going bad after I use them for one recipe. The side dishes I “make” are usually just a steamable bag of frozen veggies that I can throw in the microwave or sliced cucumbers or strawberries. My mom has always liked the plan of cooking once and eating twice (or more times!). All summer we’ve been grilling chicken once or twice a week. We grill much more than we need for one meal and then use the rest to make wraps, salads, or other meals for the next few days. In the winter I like to cook a large batch of chicken in the crockpot. Then I have cooked chicken ready for making soups or casseroles. Planning to make more than you need means we save time in the kitchen. When I know that we have food ready to be warmed up and eaten, I’m much less likely to get takeout, so planning for leftovers definitely helps us stick to our grocery budget. We stick to our weekly food budget by eating fairly inexpensive meats. I can always find boneless skinless chicken breast around here for under $2 per pound, so that’s what we eat most often. Austin and I both prefer chicken to all other meats, so this works well for us. Pork and beef are both more expensive where we live. We mix it up occasionally, but sticking to inexpensive meats 90% of the time saves us a lot of money. Speaking of meat, eating less of it has been helping us stick to our budget as well. I wrote a whole post about eating less meat that you should definitely take a look at if you’re interested in this method of saving money. We often add in more veggies or some beans so that we don’t need quite as much meat. If you or your family doesn’t like beans, I wrote about sneaky ways to get used to eating more beans here. Eating more eggs is a also a great way to get protein without meat. Eggs are really inexpensive and we eat hard boiled eggs as snacks or in salads. Plus, there’s always my favorite: breakfast for dinner. I know that Aldi isn’t everywhere and I’m terribly sorry for those of you who don’t have Aldi nearby. 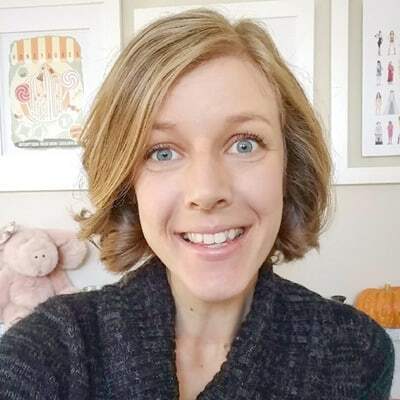 When we lived out in the country, I would drive 45 minutes once a month to stock up on certain things at Aldi because the prices are amazing and I prefer a lot of their products to other brands. We have a basic heirarchy of where to shop to save money. 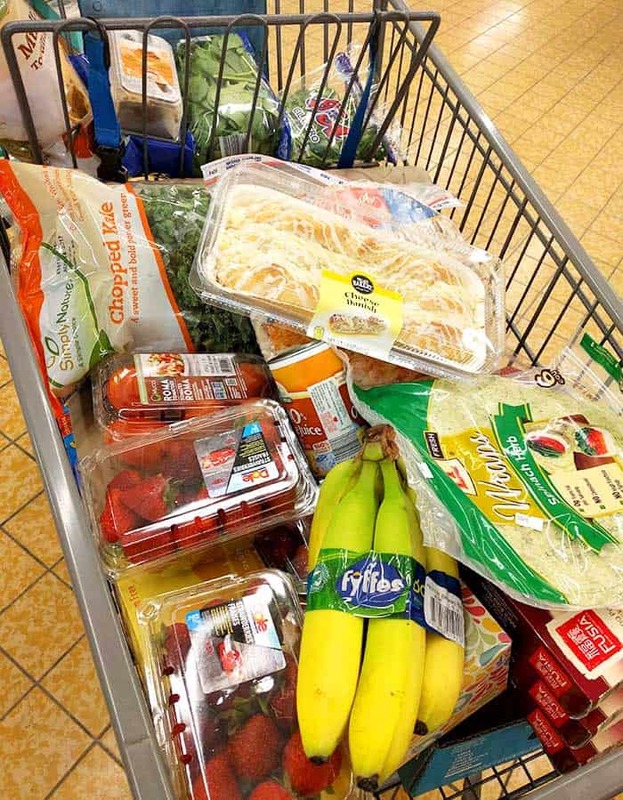 First is Aldi for 80-90% of our groceries. Then we’ll get what we can from Sam’s Club (usually chicken breast and some veggies). After that, for whatever we can’t get at Aldi or Sam’s, we’ll stop at Meijer which is a huge local grocery store very similar to Walmart. You can get really great deals at Meijer if you try, but I don’t like shopping there too much because the store is massive and takes me forever to get through. By sticking to this method of buying what we need, we usually can get the lowest price possible without much sale shopping or couponing. I do still check Ibotta to see if we can earn a cash back rebate on anything we buy from Sam’s or Meijer. Ibotta is super quick and easy to use, so it’s always smart to double check the rebates on the app. If you haven’t signed up yet, you can do so with this link and earn $10 when you redeem your first rebate. We eat a lot of fresh fruits and veggies. The prices fluctuate a ton around here on fruit depending on if it’s in season or not (veggie prices don’t change near as much). We pretty much stick to buying fruit when it’s in season and a great price. I haven’t bought citrus in months because it’s not in season. We’ve been eating a lot of berries lately instead. In fact, I got a great deal on strawberries and blueberries last week, so I bought extras and froze them for smoothies. I’m convinced that eating healthy does not cost any more that eating junk if you buy what’s in season and stick with whole foods. Part of sticking to our grocery budget is knowing that at least once each week, I’m going to have no desire to make lunch or dinner. When that mood strikes, I make sure to have some backup meals on hand that can be made so quickly and inexpensively that it will keep us from spending more money on expensive convenience foods or eating out. 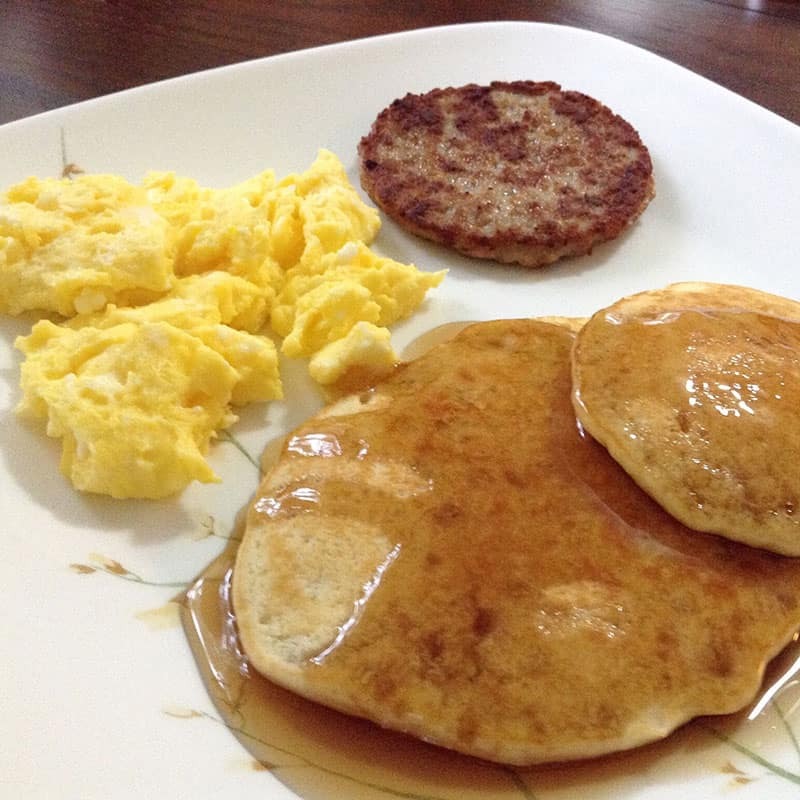 Our backup meals are usually frozen pizza, breakfast for dinner (eggs and pancakes), or spaghetti. 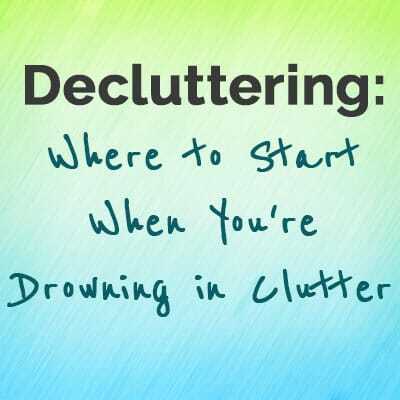 I always have those things on hand, ready to go. By meal planning, keeping meals simple, and making sure we have backup meals in stock, we make it much easier on ourselves to stick to our budget. 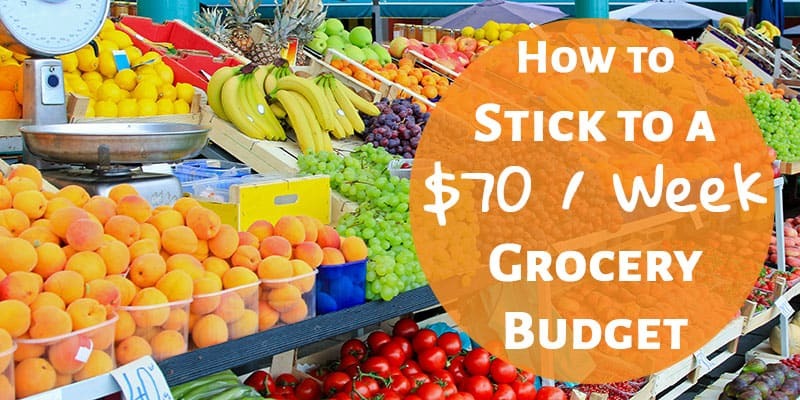 ⇒ Do you have a hard time sticking to your grocery budget? What helps? Hi Christine! Liked this article a lot. My parents were immigrants and had 3 children to support. Each of them always worked a full time and part time job and they still barely made enough money to make ends meet. One thing my mother was a stickler about was we were not allowed any junk food and had to eat healthy, all fresh–no canned or frozen. (This was the 50’s so there was a lot less temptation.) To save money she would shop for the cheapest cuts of meat and then pound the heck out of them and cook them slowly so that they were tender. She also made a lot of pastas with fresh vegetables as part of the pasta dish. Desserts and bread were always made from scratch. She never wasted the water from cooking fresh vegetables–she would drink it. Although I don’t follow their examples, I sure did learn a lot from them and think they were ahead of their time! Your parents were so smart to find so many ways to save money and still eat healthy. I think that it is a true talent to be able to make delicious meals out of really cheap cuts of meat. I bet your mom has lots of tricks.